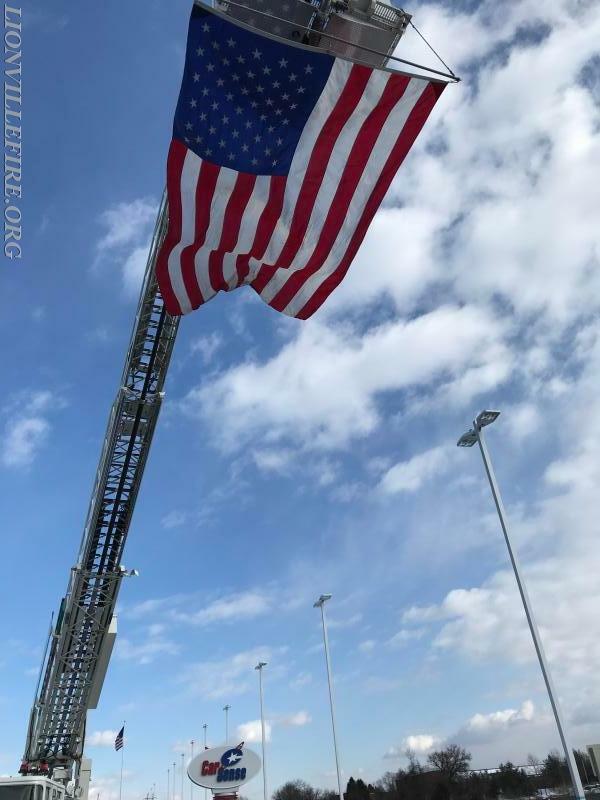 Uwchlan Police, neighboring fire companies, local dignitaries and members of Dave Good’s family, joined together to remember the 1998 Pennsylvania Turnpike accident, on the 20th Anniversary. 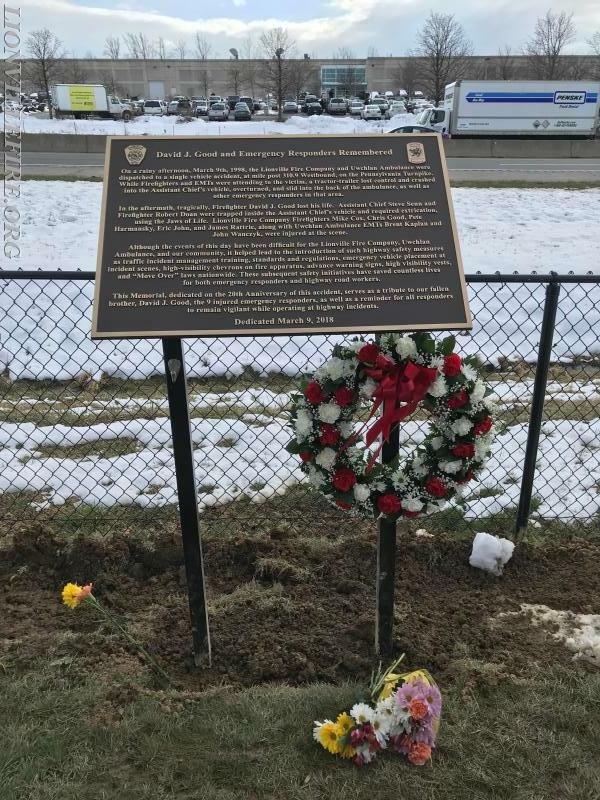 During the ceremony, a new memorial plaque was unveiled, detailing the events of the day, as well as the subsequent safety initiatives that have resulted from this tragedy. 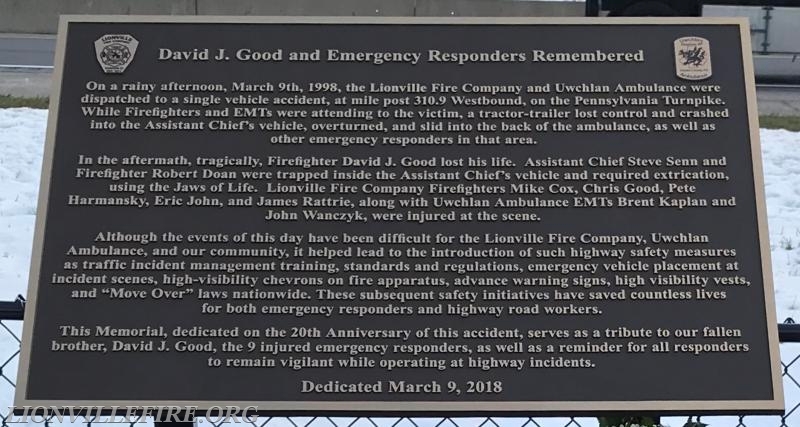 Our hope is that this plaque, located in the CarSense parking lot (adjacent to the scene of the accident, will serve as a permanent tribute to our fallen brother, Dave Good, the 9 injured emergency responders, as well as a reminder to all responders to remain vigilant while operating at highway incidents. 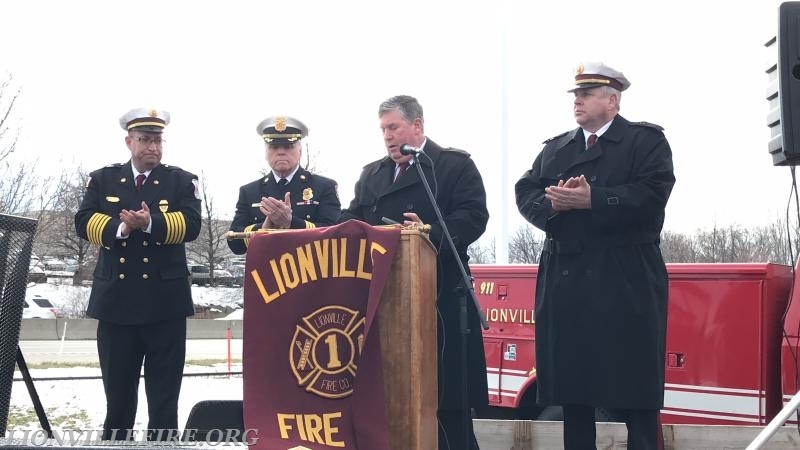 The Members of Lionville Fire Company would like to express our sincerest thanks to Penske Automotive Group, and CarSense, for allowing us to place this memorial plaque on their property, as well as opening up their parking lot to us, today, for the ceremony. Thank you, to all who were able to attend today’s service.